Waist Trainers For Weight Loss. If you been on social media lately you may have seen waist trainers for weight loss, usually promoted by a woman with overly large breast to make their tiny waist look even smaller. 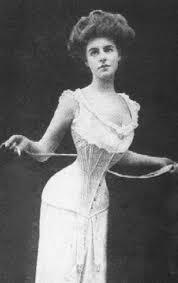 This method was tried many years ago right back to the victorian times were a “lady” would have an assistant tighten their corset so tight it was dangerous. You have probably seen or heard something about these waist trainers and want to know if they actually work? are they painful? are they comfortable? these are all good questions and how do they actually work? A better question is do they work? Absolutely NOT is the short answer, never the fewer let’s look at what they claim to do. Firstly, how they sell it is by saying it tightens your belly to the point fat cells are compressed, yes you heard that right it, this miracle belt compresses fat and it just disappears this simply isn’t true you waist maybe be smaller as it first comes out but it won’t last long minutes maybe hours. Sure enough, you still weigh the same and still look the same apart from a sweaty midsection! secondly, they claim you will sweat the fat away, again simply not true the only time you lose body fat from sweating is when you exercise, however, you will lose weight from these belts from sweating. The weight you will lose is water retention and again this is just temporary you will soon gain that retention back. Thirdly they claim even more fat is lost if you exercise with this belt on, this is true but only through losing more water retention the actual weight loss comes from the exercise you’re doing. The sellers of these products are not interested in your wellbeing they just want your money, I must admit although the marketing on social media is cheesy it would appeal to someone wanting a quick fix. That’s exactly what these companies want they want to play on your insecurities they know you either don’t like exercise and diet or you have failed in the past. Although these aren’t torture devices I can’t imagine restricting your fat for hours on end is comfortable or pleasant, if you want to feel uncomfortable then I highly recommend exercise. 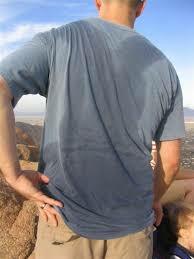 Try HIIT twice a week to start off with it will save you time, money and you will see amazing results that will last. If you’re looking to lose weight then waist trainers for weight loss are not going to work the only thing these are good for are perhaps a photo shoot or wedding. Save your money and your waist and try something more sustainable and reputable if you’re not up to exercising just yet then try a diet such as weight watchers or slimming world. If you need any more information or have tried these before then please let me know by leaving a comment below. A friend of mine used to own a similar product to this? She was so convinced that it will work. Works cannot describe how disappointed she was when after months swearing by this product, she did not see any change to her body. I could see these Waist Trainers and other products like it appealing to the person looking for the quick fix. They may want to fit into an outfit or look (what they feel is) better for an up coming event. Sorry to say it takes as much time to lose it as it took to gain. it. That’s exactly what they’re counting on Tony, people who want a quick fix and there is a lot of people who want that.